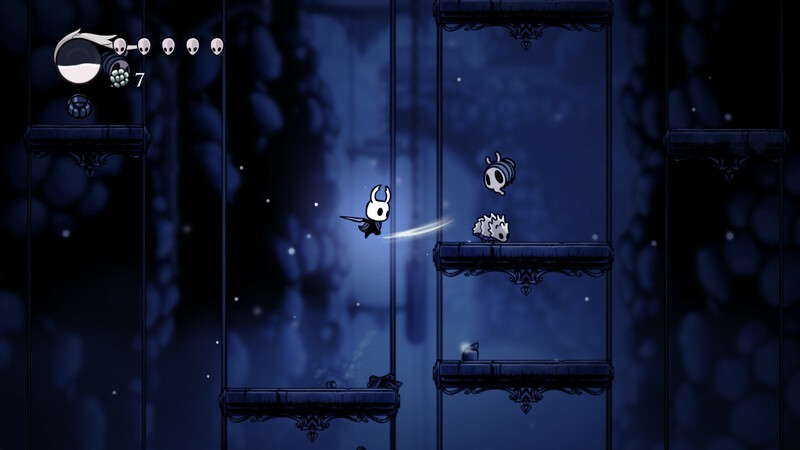 Hollow Knight, developed and published by Team Cherry, is an absolutely masterful action/adventure platformer which combines fast, responsive combat and movement with an intricately crafted world. During my 35+ hour playthrough I was taken back to my childhood and reminded of the wonder I experienced while exploring Super Metroid for the first time (one of my favorite games of all time). With a vast and varied world, intriguing characters, surprising reveals, and tons of ways to customize combat and mobility to suit the player’s preferred style, Team Cherry has created an absolute masterpiece, one of the Switch’s best games, and one of the finest action platformers ever made. Hollow Knight is an absolute steal even at full price ($15) and I cannot recommend it highly enough for 2D action game fans. During your travels, you’ll meet many interesting characters. Some will attack you outright, while some will aid you in your journey with Charms, information, and even new skills. Set in the world of Hallownest, the player assumes the role of The Knight, a tiny adventuring beetle who travels the world with nothing but their cloak and a Nail, the small sword-like weapon used by many of Hallownest’s residents. During their journey, the player will explore a vast fallen kingdom underneath the small village of Dirtmouth, and discover the secrets resting in the ruins. Swing your Nail with abandon, little Knight. It is your steadfast friend through the ordeal which lies beneath Dirtmouth. 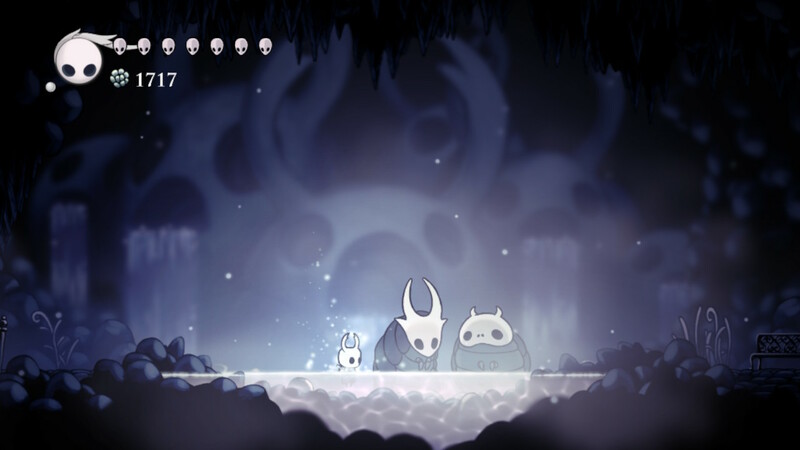 Like many Metroid-style games, the world of Hollow Knight opens up as the player masters new techniques and gathers hidden equipment, creating a fantastic, fully-realized world as mysterious as it is fun to explore. 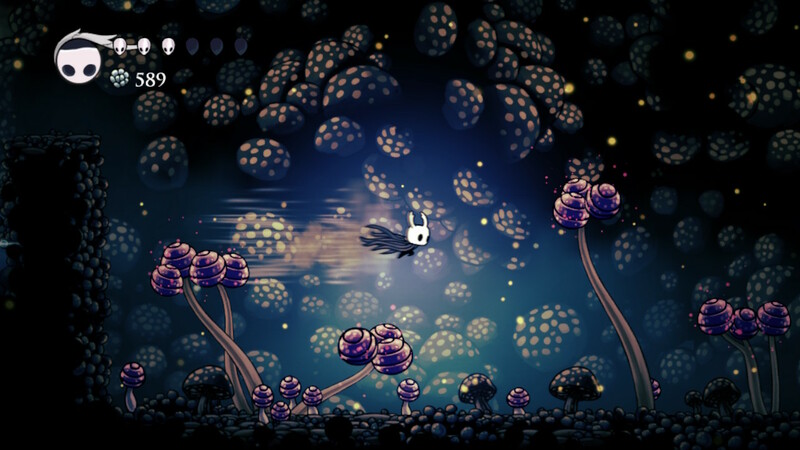 In addition to the numerous diverse areas players will discover during their journey (and don’t worry, there are two fast travel systems), Hollow Knight also boasts an incredibly wide array of enemies and a large cast of engaging boss encounters (a surprising number of which are completely optional) all of which keep the experience fresh from start to finish, even if you opt to go for 100% Completion. 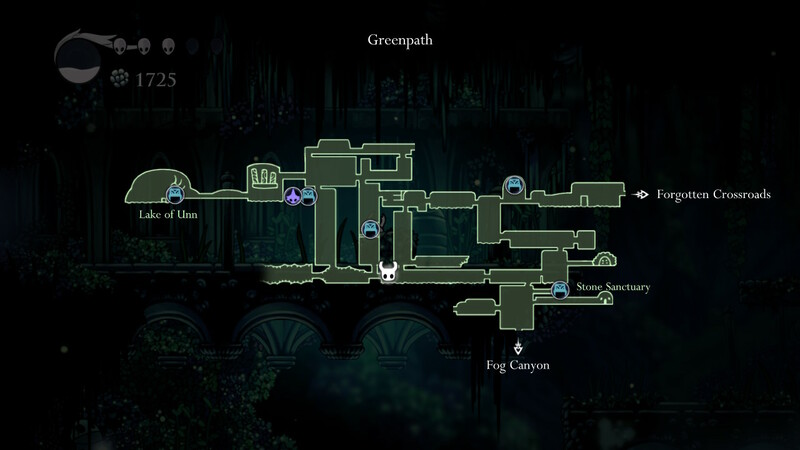 Like many other Metroid-style games, Hollow Knight has a fantastic map. Unlike many other games, you can engage with the mapping mechanic to whatever degree you want. You can explore the entire game without the map, or you can buy numerous upgrades to track the placement of every major location in the game. You are in control of your involvement, and the choice is yours! In addition to the large world, the mapping system is also worth mentioning, as it features a few twists from traditional Metroid-style games. Before you can track your location, you’ll need to buy a map for each area from Cornifer, the local cartographer. He will be hidden in each area, but if you pass him by, you can buy that area map from his wife’s shop in Dirtmouth (the game’s main hub). What’s more, updates to the map only occur when the player sits down at a bench to rest, and even then, only if the player has purchased the Quill from the Dirtmouth Map Store. Resting at a bench refills your health, allows you to equip or unequip Charms, and updates your map to include any areas you have recently explored. So, in a rather unique twist on a classic mechanic, the player can determine how much use they want to get out of the map. If you want a truly old school experience, and prefer to rely on your own wits and memory (or want to make your own map on some old graph paper), you can save your Geo (the game’s primary currency) and avoid buying the map, the compass, or any of the markers. Or, like me, you can buy every map upgrade and pin set to help you track down every last upgrade, spell, and item in the game. There are lots of collectibles in the game, but each one serves a purpose. There is no fat on this bone. It’s all meat. Juicy, delicious, 2D action platforming Metroid-style meat. Speaking of optional content, in addition to optional bosses, items, and abilities, the expansive world includes several large game areas which are also optional. These areas help flesh out the world further with character dialogue and old notes while giving players a chance to truly challenge themselves with difficult platforming sections and bosses. When you die, your shell will crack open and a small shade will emerge, taking your Geo (currency) with it! Return to where you died and destroy it to reclaim what is rightfully yours! Even without opting into the many difficult optional boss encounters, Hollow Knight truly is a challenging game, and sooner or later, players will probably die. When that happens, The Knight’s shell will crack open, revealing a ghostly figure. The ghost will then wander the area in which it died, taking the player’s Geo with it, and kicking the player back to the last bench they rested at (resting at benches will restore your health, cause most enemies to respawn, and update your map to reflect any new areas you’ve recently explored). If the player can make it back to the spot where they died, they can quickly dispatch the ghost (it’s a pushover) and retrieve their lost currency. Thankfully, if the player died while fighting a boss, the ghost will (most of the time) wait just outside the boss room, making retrieval much easier. To help players stay alive, Hollow Knight also features an incredibly helpful healing system. 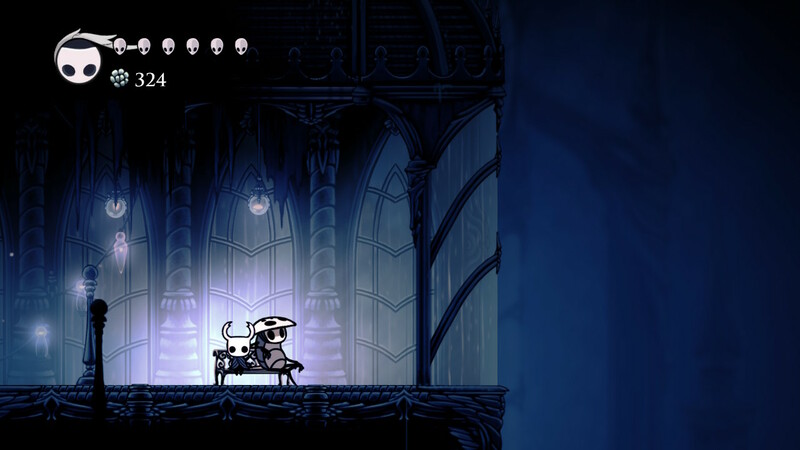 As players attack enemies, they will fill the Soul meter in the top left corner of the screen (It looks like a large white mask). Once the meter fills beyond a certain point, holding the “A” button will heal the Knight by 1 health point (health is indicated by the small line of masks in the image above). There are charms which cause the healing to happen faster, cause a shield to protect the player while healing, and even cause more Soul to be collected every time the player strikes an enemy with their Nail. That last charm is also useful for spellcasting builds, as attack spells also use Soul. Resting at a hot spring will restore your health AND your Soul. There are few hot springs in the game, but they are always a welcome sight. Not having to rely on potions or flasks creates a sense of self-sufficiency which is extremely empowering. If you are low on health, simply find weak enemies and attack them slowly and deliberately and you’ll be able to restore your health and continue. This also means you only really have to return to town or sit at a bench if you really want to, freeing you to explore whichever way you prefer. 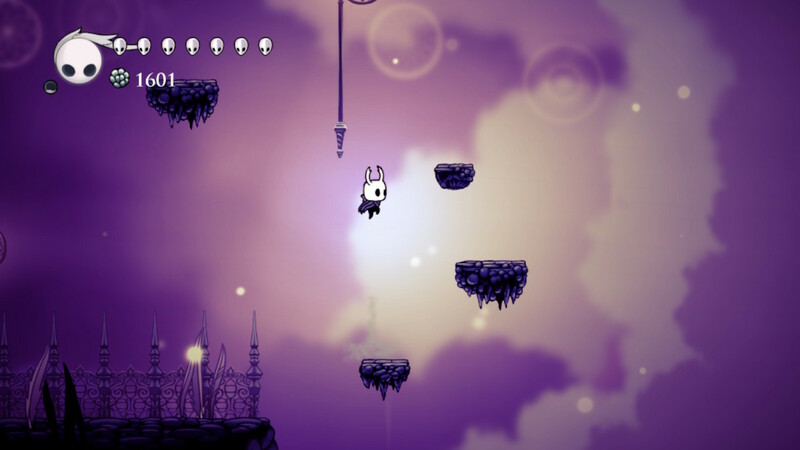 Each area has its own aesthetic, which extends to the color palette, the types of enemies the player will encounter, the environmental hazards, and even methods of traversal. This goes a long way towards keeping gameplay fresh over the entire playthrough, and makes exploring this expansive world a joy, because there really is no telling what’s around the next corner. 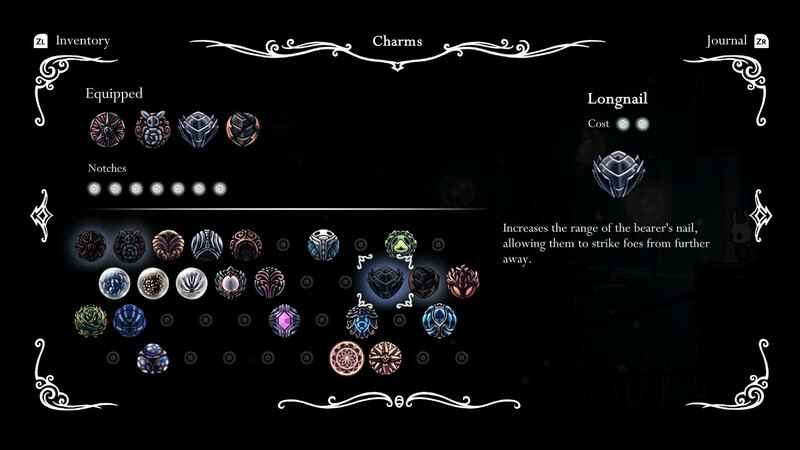 Scour the world and you’ll find many Charms you can equip to enhance your attacks, alter your spells, and otherwise cater the gameplay experience of Hollow Knight to your liking. 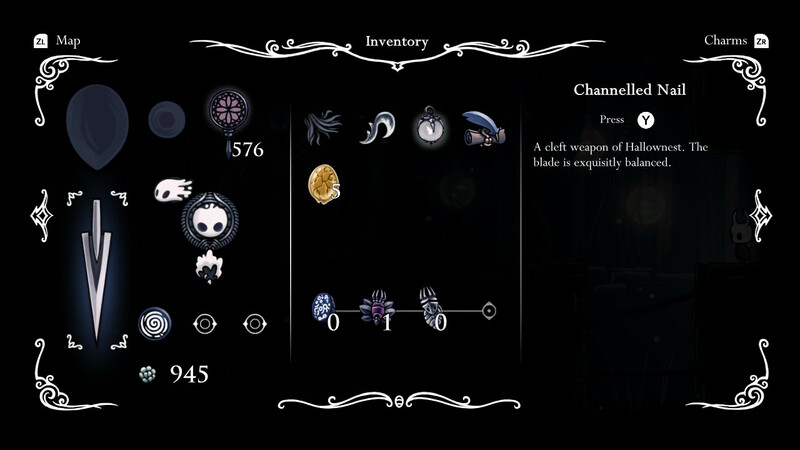 Hollow Knight’s story is a haunting, resonant tale of loss and hope, madness and courage, and it also includes multiple endings depending on which items the player has collected during their playthrough. It’s also worth mentioning that this entire game is about bugs, and Team Cherry made me care about each and every one of them. That’s an accomplishment. 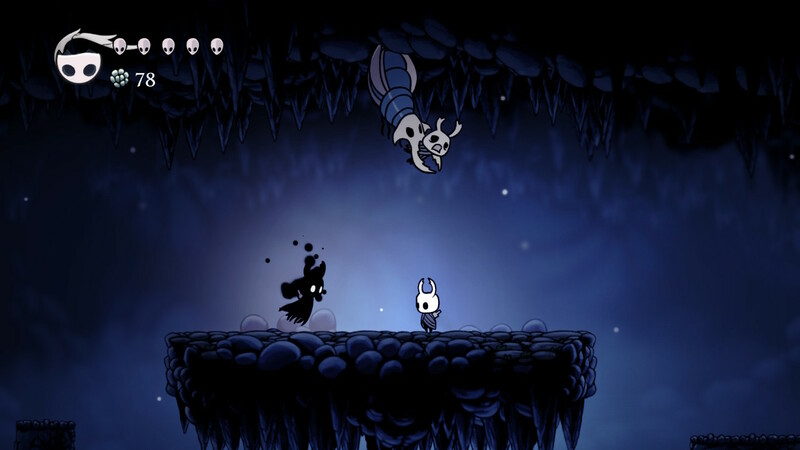 Action games live or die by how responsive their combat is, the number of legitimate approaches to each encounter, and the ability of each player to determine their path through the game, and Hollow Knight excels in each of these areas. With an ever-growing list of movement options, the ability to heal consistently, and a wide variety of Charms to customize the play experience, the player will slowly grow from a novice Knight to a master combatant, creating an incredibly satisfying arc over the course of the game. Hollow Knight succeeds at pretty much everything it attempts. 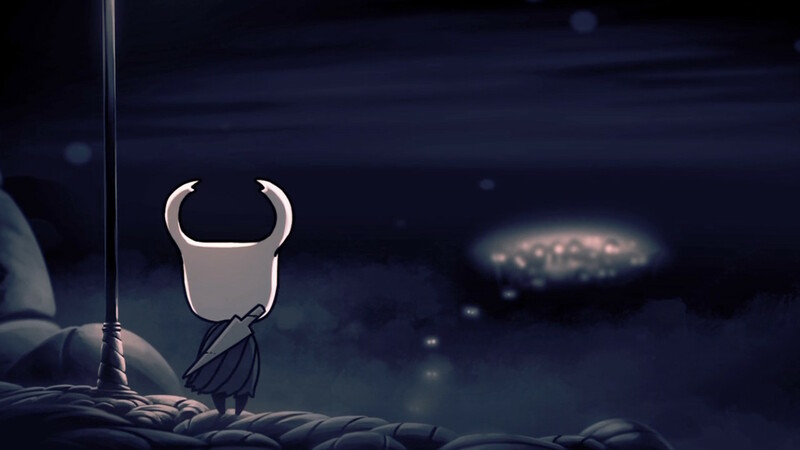 Christopher Larkin’s spacious, melodic score and Hollow Knight’s beautiful hand-drawn art accentuate some of the purest exploration and most satisfying combat in recent years, and Hollow Knight’s flexible nature and expansive customization and equipment options allow players to answer its challenges in a number of different ways. 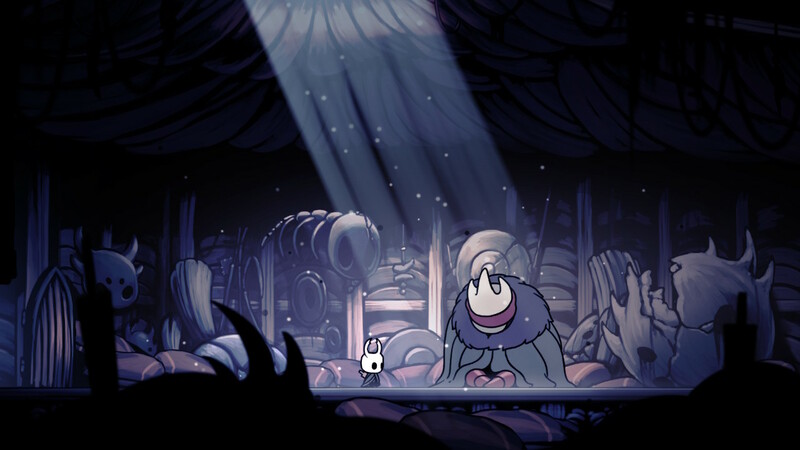 Like all of the greatest action games, Hollow Knight rewards mastery without alienating less experienced players, and the Soul mechanic is absolutely inspired. Team Cherry has brought one of the most fleshed out Metroid-style worlds to life in an essential package (which includes a whopping 4 DLC packs at no extra charge) at the absurdly accessible price of $15. 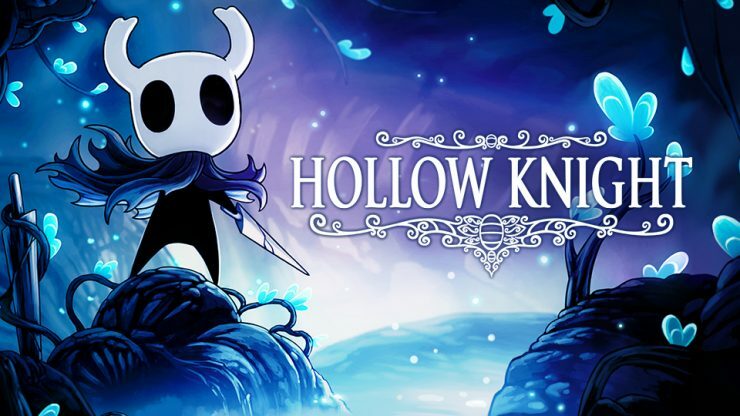 If you are a fan of Metroid, Castlevania, Dark Souls, or 2D action platformers, buy Hollow Knight immediately because you aren’t going to find better bang for your buck than this.